In 1964, two great storytellers crossed paths while Christmas shopping at Saks Fifth Avenue in Beverly Hills. This collision of genius contradicts the pushing apart of like poles between two magnets, as Walt Disney (1901-1966) and Ray Bradbury's (1920-2012) kindred spirits certainly attracted one to the other. As Ray Bradbury remembered the incident: "I saw this man coming across the floor with a huge armload of Christmas gifts and his head tucked over the top. I looked at that face and said, 'Oh my God, it's my hero.'" The next day, and to Bradbury's delight, the two had lunch together in Walt Disney's Burbank office, followed by a personal tour of the studio lot by Disney himself. For Bradbury, it was a childhood dream come true. Born nineteen years later than Disney, Bradbury spent his boyhood years watching his hero's animated shorts at the Genesee Theater in his hometown of Waukegan, Illinois. Upon seeing the 1929 animated short, "The Skeleton Dance," young Bradbury swallowed the magic of Disney hook, line, and sinker. Ray Bradbury's connections to fantasy, space, cinema, to the macabre and the melancholy, were all born of his years spent running, jumping, galloping through the woods, across the fields, and down the brick-paved streets of Waukegan. His lifelong love of comics was born here, along with his connection to magic and his symbiotic relationship to Halloween. Although he moved away from the Midwest for good at the age of thirteen, Ray Bradbury is a prairie writer. The prairie is in his voice and it is his moral compass. It is his years spent in Waukegan, Illinois...that forever shaped him. Bradbury's combined experiences, and his natural ability as a writer, gave the 20th century The Martian Chronicles (1950), The Illustrated Man (1951), Fahrenheit 451 (1953), The October Country (1955), Dandelion Wine (1957), Something Wicked This Way Comes (1962), The Halloween Tree (1972), and hundreds upon hundreds of celebrated short stories. Walt Disney was another who held onto his roots. Although born in Chicago, Illinois in 1901, Disney's family relocated to Marceline, Missouri in 1905. It was there that Disney experienced many of the same adventures as young Bradbury. Disney biographer, Neal Gabler, wrote, "Walt Disney would remember Marceline, Missouri. He would remember it more vividly than anything else in his childhood, perhaps more vividly than any place in his entire lifetime." In 1938, Disney himself wrote to The Marceline News, "To tell the truth, more things of importance happened to me in Marceline than have happened since - or are likely to in the future." It was in Marceline that the Disney family traded in the hustle and bustle of Chicago for the quiet openness of farm living. Though there was laborious work aplenty for the Disneys, Walt basked in the luxury of youth that came with being a four-year-old boy. Surrounding Walt was open land, apple trees galore, and animals he regarded as close friends. Gabler wrote, "Walt would always recall the farm through the prism of a child's wonder and always think of it as a paradise." 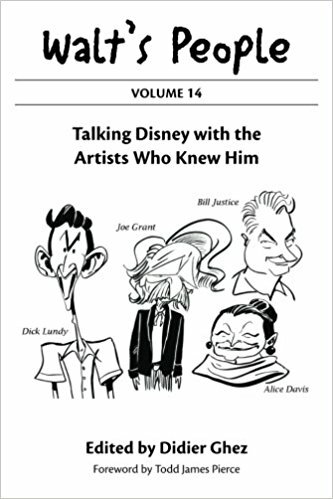 Like Bradbury, Disney's combined experiences growing up in Marceline was injected into many of the films that benefited from his personal touch. It was only fitting (no, destined!) for Walt Disney and Ray Bradbury to cross paths at some point in their lives. In each of their respective works a piece of them is embedded. It's not so much that you see Disney in his classic films, or read Bradbury in his short stories, you feel them. For me, Bradbury's seminal Dandelion Wine is to Disney's So Dear to My Heart (1949), both evoking the sheer essence of both men's fond memories of childhood past in small Mid-Western towns. I admit I approached Disneyland with many intellectual reservations, myself, but these have been banished in my seven visits. Disney makes mistakes: what artist doesn’t? But when he flies, he really flies. I shall be indebted to him for a lifetime for his ability to let me fly over midnight London looking down on the fabulous city, in his Peter Pan ride. The Jungle Boat ride, too, is an experience of true delight and wonder. I could go on, but why bother? As the Disney company was moving toward bringing to life Walt Disney's vision of an Experimental Prototype Community of Tomorrow (EPCOT), one of the many names that was first bandied about as a potential creative contributor was Ray Bradbury...Ray's fond attachment to the small-town Americana of yesteryear, combined with his hopes and dreams for a better tomorrow, was a perfect match for Disney. It interests me to no end the direction these two individuals lives went through the course of history. My love for Disney equals that of Bradbury, not only through the emotions invoked in me through their work, but by the power of their imaginations. They were, indeed, kindred spirits, with a passion for life and firm believers in the possibilities of tomorrow. Ray Bradbury himself once said, "I'm an optimal behaviorist, like Disney." He explained, "With a grand sense of fun and passion, you're going to create something fine...That makes for optimal behavior." At the time of EPCOT's grand opening in 1982, Ray Bradbury was interviewed by Larry King. There to watch it all unfold was Bradbury's daughter, Bettina, beaming at her father with pride. And as she basked in her father's glow, she thought, "Two amazing visionaries who created amazing tomorrows by looking backward - Walt Disney and Ray Bradbury. If you only have two heroes in your life, you could do a lot worse."